Frank and Jo Ann Accardi, residents of Bethlehem Woods Retirement Community, have donated their time and effort to many local community projects. Some of their Volunteering hours have spanned over the many years. 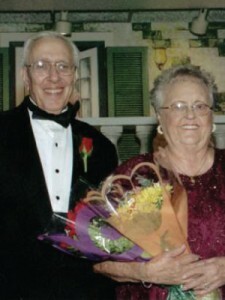 They have been married for 58 years and included in their many years of service to the Adventist Health Systems, LaGrange Memorial Hospital, Chicago Area Boy Scouts of America, from 1960 to the present time, Kiwanis, Catholic Charities of Chicago, Ronald McDonald House near Loyola Medical Center for ten years, first elected School Board members for Maternity B.V.M. Parish in Chicago, Frank a Scoutmaster for 17 years, Jo Ann a Den Mother, Religious Scout Award for Cub Scouts and Boy Scouts. Together, Frank and Jo Ann have volunteered for 13 years, giving senior citizens the taste of Boy Scout Camp activities. This consisted of horseback riding, canoeing, archery, crafts, campfires, and all things the Boy Scouts do in their yearly Camp stay. These seniors did in one week. homeless in the area, Catholic War Veterans, St. John of the Cross Parish, sponsoring adults for the conversion classes. Scripture classes in their home for Lent and Advent. Frank and Jo Ann have two sons, Charles and Rodger, and one daughter Victoria. They are also the grandparents of seven grandchildren, Todd, Adrienne, Jason, Steven and Dean Accardi as well as Abigail and Nathan Erwin. Frank is retired from Navajo Freight Systems/A.B.F Freight Systems after 47 years and is still is an active member of Local 71 0, International Brotherhood of Teamsters. Jo Ann is retired from Morton West High School, in Berwyn, Illinois, as the Principal’s secretary. Together, they have been awarded the Silver Beaver Award, the highest award given to a leader in the Boy Scouts of America, the Silver Fawn Award, the highest female award given to a woman from the Boy Scouts of America, and the West Suburban Chamber of Commerce Millennium Award. If there is another organization needing a couple of volunteers, you can be sure Frank and Jo Ann will be on board, doing what they can for others.